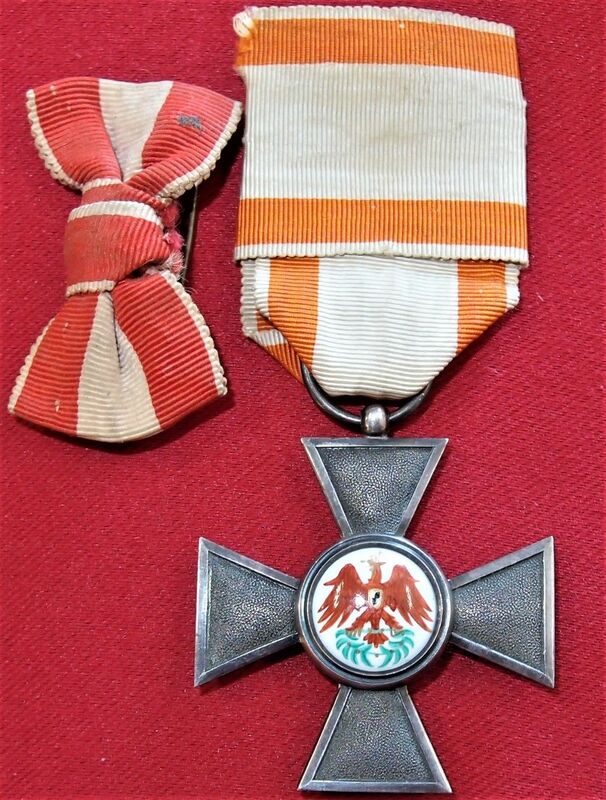 Offered is an original German Order of the Red Eagle 4th Class. 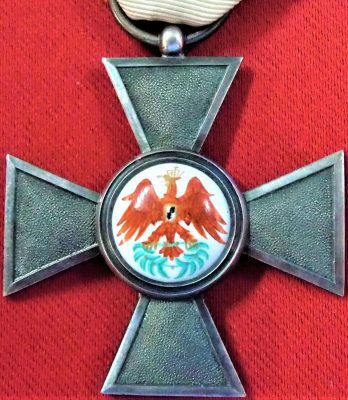 38mm wide silver cross pattée with stippled arms, on laterally-pierced ball suspension; the face with a circular central polychrome enamel medallion depicting the Brandenburg crowned red eagle, the Hohenzollern arms, being a quartered black and white shield, on its breast; the reverse with the crowned cipher of King Friedrich Wilhelm III; maker’s mark ‘W’ to the base (for Wagner of Berlin); on correct ribbon with sewn reverse with bow shaped pin backed ribbon bar – possibly worn by a female. 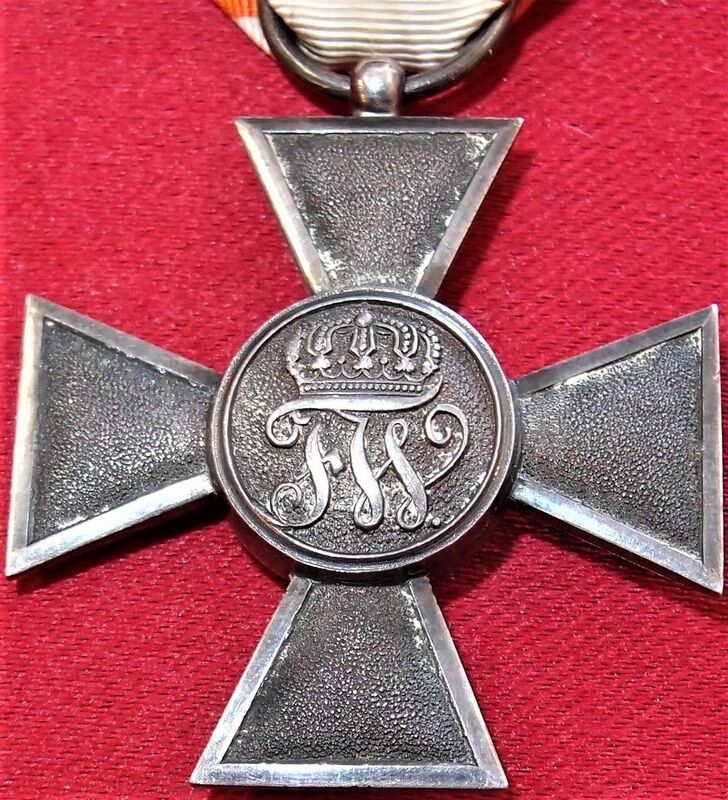 The Order can trace its origins back to the Ordre de la Sincerité founded by on 17 November 1705 by Margrave Georg Wilhelm of Brandenburg-Bayreuth. 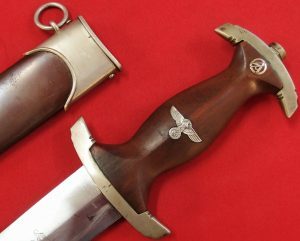 It was revived in 1734 in the Principality of Brandenburg-Ansbach as the Order of the Brandenburg Red Eagle. 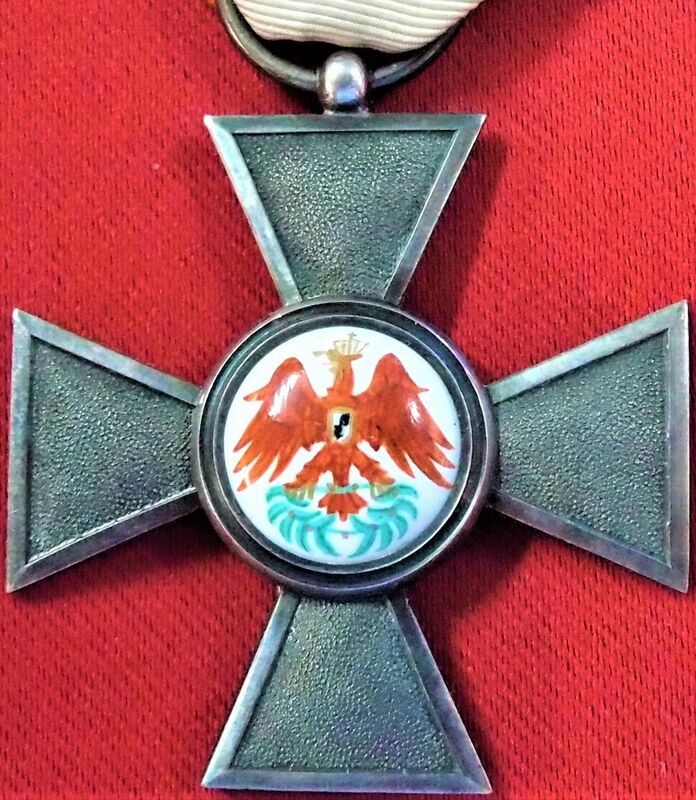 In 1777 it was renamed the Order of the Red Eagle. 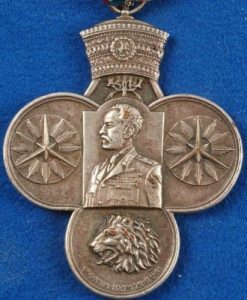 In 1792 when both Principalities were annexed by the Kingdom of Prussia it became the second- ranked order of the enlarged kingdom. In 1810 King Friedrich Wilhelm III revised the order, expanding it from one to three classes and in 1830 a fourth class, as in this example, was added for junior officers and civilians of equivalent rank. 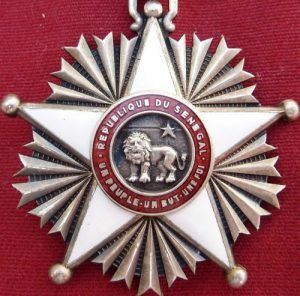 The Order was awarded for bravery in combat and excellence in military leadership. 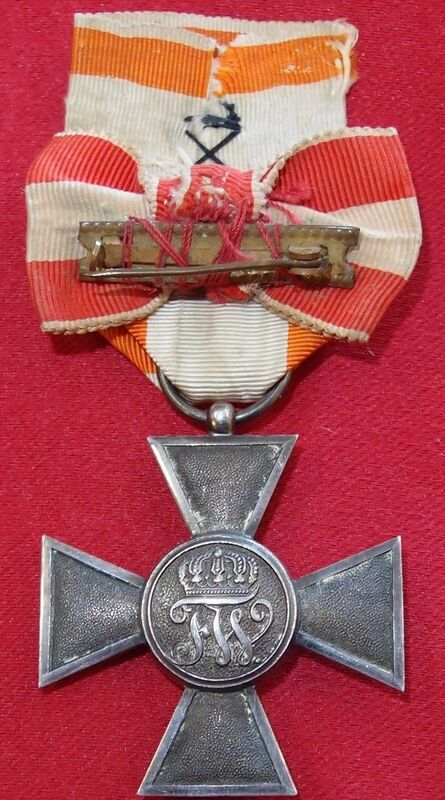 It is interesting to note that the 3rd and 4th classes of the Order were awarded only 116 times during World War I in order to maintain its prestige, Manfred, Freiherr von Richthofen (the ‘Red Baron’) being a noted recipient of the 3rd class.